Our removals service offers house, flat, studio apartments and room removals as well as business relocations. We specialise in small to medium removals, but can also handle any size removal within the UK or Europe. And our prices are some of the best in the business. We are reliable, punctual and most importantly trustworthy – our staff have full CRB checks. Whether you have precious antiques or a well worn sofa, we’ll treat your items as if they were our own; taking care to assure your furniture is protected and safe during the move. We are very reliable and we’ll arrive punctually, load your items carefully and deliver them safely to their destination. We can also assist you with disconnecting and reconnecting your appliances such as washing machines and ovens. Our staff have nationally recognised electrical qualifications. 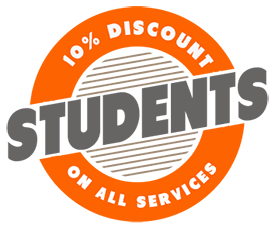 Whatever your situation, Cambridge Handy Man and Van is a removal company that offers a comprehensive moving and packing service and we’ll personalise the entire move to suit your needs. We can help you with packing your belongings, delivering them safely to your new location and assembling your items upon arrival. 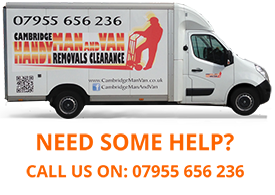 Cambridge Handy Man and Van is not just for small moves – we have the manpower to accommodate large house removals as well. No item is too big or small and there are never too many items for us to transport. We have the expertise to deal with tight angles, unusual access or awkward furniture. We always have an exceptional can-do attitude and aim to offer an outstanding service. Cambridge Handy Man and Van is not just for residential moves – we also specialise in office removals and relocations. We will get the job done quickly and efficiently with minimum disruption to your business. If you are unsure if you require one man with a van or a two-man team of removal experts, please contact us to discuss your move. If you require a move to a country that is not listed, please contact us and we’ll try to accommodate you as best we can.